Trephine brush, which was used to clean the trephine teeth during use. 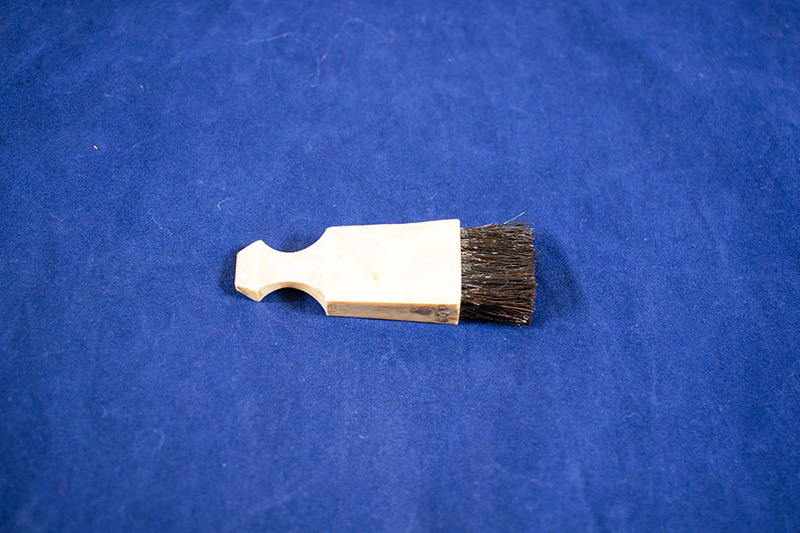 Body of brush made of bone with black (probably horsehair) bristles. 2.1cm in width, 5cm in length, 1.15cm in thickness. Bristles: 1.9cm in width, 1.5cm in length, 0.9cm in thickness. “Trephine Brush,” Heritage, accessed April 20, 2019, https://heritage.rcpsg.ac.uk/items/show/573. Description: Trephine brush, which was used to clean the trephine teeth during use. 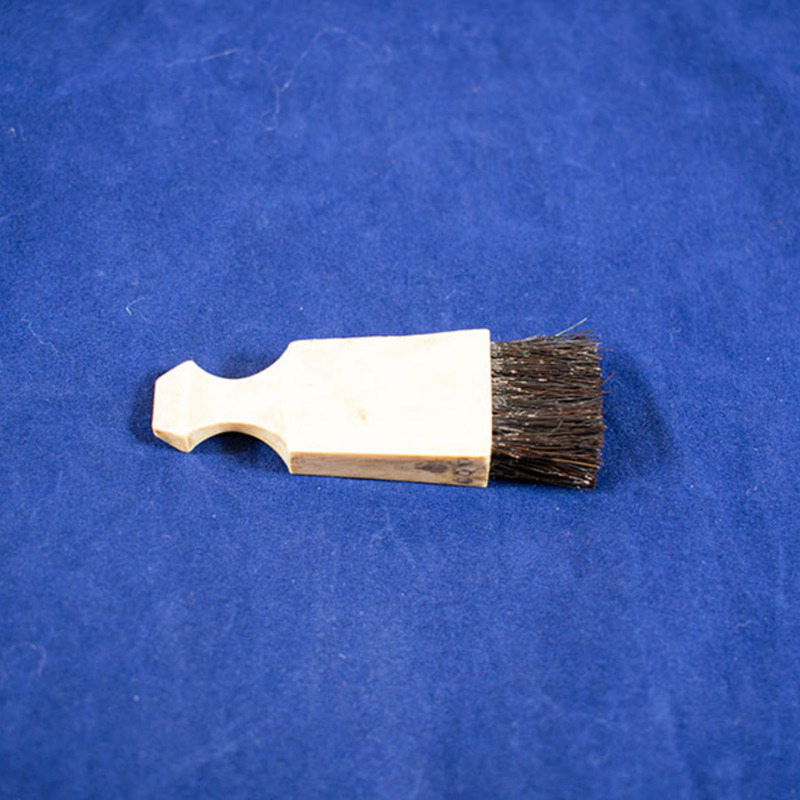 Body of brush made of bone with black (probably horsehair) bristles.